Home » Borderline Personality Disorder » What’s The Difference Between Borderline Personality Disorder And Bipolar Disorder? Borderline personality disorder (BPD) is commonly confused with bipolar disorder. Although they do share some similarities, they are very different disorders. BPD is considered an Axis II diagnosis as a personality disorder while bipolar disorder is considered a clinical syndrome, therefore classifying it as Axis I. The confusion may also partly be due to the fact that these disorders can exist in the same person simultaneously which is called a comorbid condition. Bipolar disorder and borderline personality disorder are comorbid somewhere between 15 and 20 percent of the time, according to Current Psychiatry. Much like the symptoms of each mental disorder, some of them are both overlaps and differences in causes. 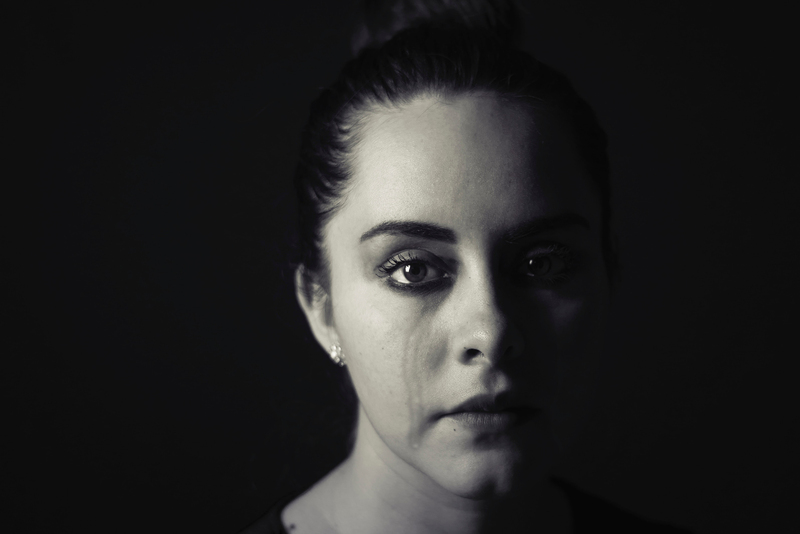 Exactly what causes borderline personality disorder is not clearly defined, but there is a general consensus that it is a combination of genetics and environmental influences. Environmental contributors to the mental illness include post-traumatic stress disorder from childhood events, such as emotional, physical, or sexual abuse. Abandonment, loss, and neglect can also be predictors of BPD. The causes of bipolar disorder have similarities, such as post-traumatic stress disorder, loss, or other trauma. Hormonal imbalances and mental stress can also be causes of bipolar. Both mental health disorders are characterized by symptoms of intense mood swings and mood instability; however, the cycles are different. People with bipolar disorder swing from intense highs (mania) to extreme lows (depression) usually in a cycle. These cycles of mania and depression can differ from person to person in frequency but can last days, weeks or even years. A person may have periods of mania often followed by a crash into depression. People with BPD may also have mood swings, but they are usually not as sustained or concrete as those of bipolar disorder. The highs and lows of BPD may swing between desperation, anxiety and intense anger. People with BPD experience frequent emotional instability and a feeling of emptiness. These cycles are largely dependent on the world around them and can be triggered by a fear of abandonment. The cycles are usually more frequent than those associated with bipolar disorder as well. Sufferers of BPD are prone to bouts of impulsivity and aggression and may also display more anxiety and anger than the sadness and depression characteristic of a bipolar low. Those diagnosed with BPD have trouble with relationships, an unstable self-image, and engage in risky or impulsive behavior. Due to this low impulse control, it is common for a person struggling with BPD to engage in self-destructive behavior (also known as self-injurious behavior or self-mutilating behavior). Additionally, over 50% of those with BPD also suffer from a substance abuse disorder. Those suffering from bipolar disorder may have longer periods that are seemingly symptom-free but also suffer from shifts in energy and activity levels. Bipolar and borderline are commonly diagnosed in early adulthood. Both will have a risk of suicidal behaviors and tendencies toward self-harm, although possibly for different reasons. A sufferer of bipolar disorder may attempt suicide due to feelings of hopelessness in a depressive state, whereas people with BPD may do so out of their inability to tolerate feelings of distress. "Bipolar disorder is considered a lifelong illness that requires vigilant treatment. Borderline personality disorder is usually treated with psychotherapy, particularly dialectical behavior therapy, "
It is important to receive the proper mental health diagnosis in order to receive the right care and treatment. Another important difference between bipolar disorder and borderline personality disorder is found in their separate treatment processes. While symptoms may be similar between bipolar disorder and BPD, and sometimes medication can be helpful for managing symptoms of BPD as well, the FDA doesn’t currently approve of a particular medication to treat BPD symptoms. Borderline personality disorder is usually treated with psychotherapy with a mental health professional, particularly dialectical behavior therapy (DBT), which focuses on changing patterns of behavior. Dialectical behavior therapy can be particularly useful in helping people with BPD to cope with urges to engage in impulsive behavior. Bipolar disorder is also treated with psychotherapy as well as sometimes with ECT, electroconvulsive therapy for intense depressive or manic episodes. Basically, bipolar disorder is usually treated with medication and psychotherapy. BPD is treated primarily with psychotherapy, and medication is sometimes used a tool to manage symptoms secondarily. Whether you or a loved one suffers from bipolar disorder, borderline personality disorder, or a combination of each mental illness, OPI can match you to the right treatment plan. Treatments are developed on a case-by-case basis, and the whole individual is examined and treated, not only the disorder. A skilled mental health professional is standing by to help you start the journey toward the life you desire.